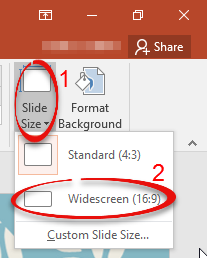 PowerPoint 2016 & 2013 opens a new presentation in a widescreen (16:9) proportion to accommodate the latest widescreen technology. 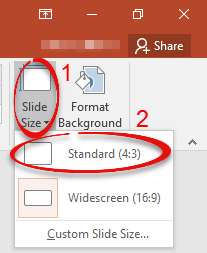 Here's how to to change the slide size to standard (4:3) or when opening a presentation from an older version of PowerPoint, how to change the standard size to widescreen. 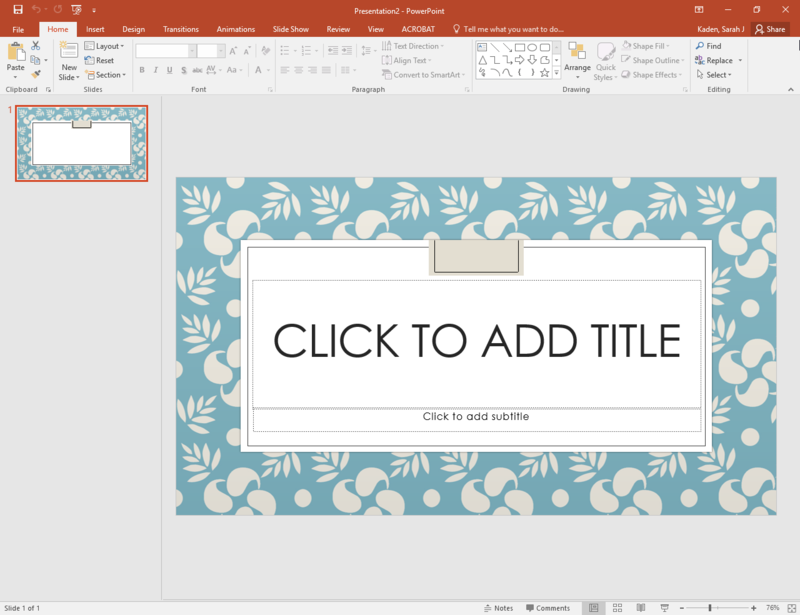 Step 1:Open your presentation in PowerPoint. You will notice that it is widescreen. Click Slide Size in the Customize group, then select Standard. 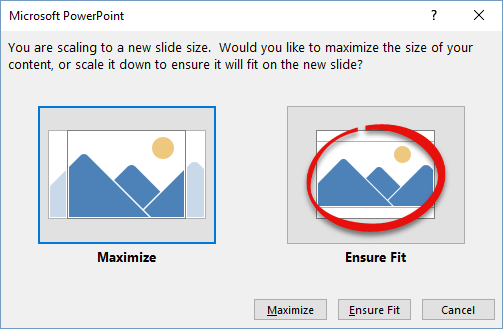 If prompted, select Ensure Fit to decrease the size of the slide content. This could make your content appear smaller, but you will be able to see all of the content on the slide. Your slides and content will adjust to standard size. 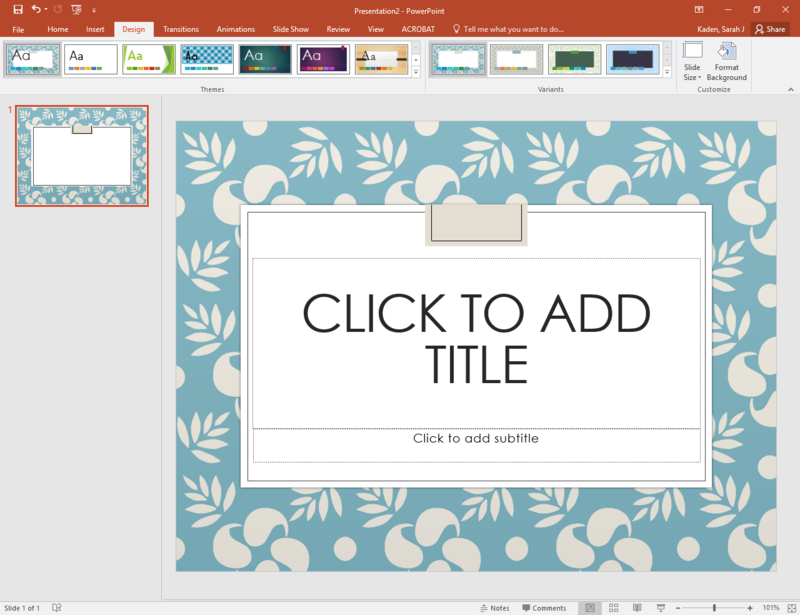 Step 1:Open your presentation from a previous version of PowerPoint in PowerPoint 2013 or 2016. It will be standard size. Step 2:Click the Design tab. Click Slide Size in the Customize group, then select Widescreen. 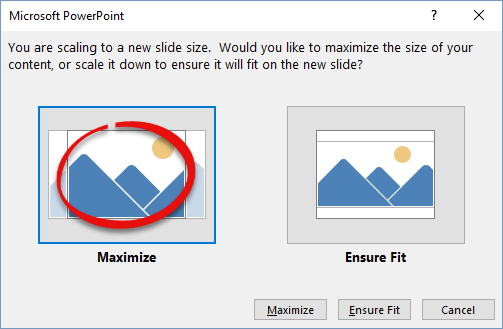 If prompted, select Maximize to increase the size of the slide content. Choosing this option could result in your content appearing larger but not fitting on the slide. Your slides and content will adjust to widescreen.